The Norwegian medical community’s strong opposition to circumcision of baby boys has kept Norway’s state-funded hospitals from offering the controversial operations under a new law allowing them. The government expected demand for around 2,000 circumcisions a year in Norway, but newspaper Dagsavisen reports that only around 30 have been performed since the law took effect January 1. The demand estimate was based on the number of births among Muslim and Jewish families in Norway, the majority of which circumcise baby boys shortly after birth in line with religious tradition. Spokespersons for Norway’s relatively small Jewish community had indicated, though, that they would continue to turn to private procedures to circumcise their baby boys. Now it appears Muslim families are doing the same, given the small number of circumcisions performed at Norwegian hospitals so far this year. Lists obtained by Dagsavisen indicate that only another 115 prospective patients are on waiting lists for the procedure at Norway’s two largest hospitals. 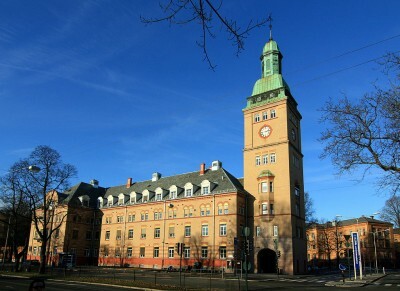 No circumcisions have been performed yet at either Oslo University Hospital’s Ullevål or Ahus divisions, where demand from residents of the Oslo metropolitan area was expected to highest. The low number of circumcisions performed is widely attributed to the resistance mounted by doctors, nurses and other health care personnel. All of Norway’s professional medical associations opposed the law allowing circumcisions to be covered by Norway’s public health service, with only the national midwives’ organization (Jordmorforening) supporting it. The opposition is based on professional views that the procedure is unnecessary, irreversible and performed on patients unable to agree to it because they are so young. Some groups tried to impose an age limit that would prevent hospitals from circumcising boys under the legal consent age of 18 and they haven’t given up their fight to modify the law. Medical professionals in Norway can reserve themselves against performing the procedure, and many have at hospitals from Østfold in the south to hospitals and clinics tied to the Helse Nord division of Norway’s public health care system in Northern Norway. In Østfold, which has a large Muslim community, hospital administrators were thus obliged to outsource the procedure to the private Ringvollklinikken in Hobøl, which didn’t get its program going until this summer. The clinic intends to set aside one full day a month when it expects to offer between six and 12 circumcisions (with local anesthetic because doctors feel it’s too risky to put small children under full anesthesia), clinic chief Else Marie Skjærengrud told Dagsavisen. Helse Nord’s solution to the lack of doctors in Northern Norway willing to circumcise babies was to refer cases to St Olavs Hospital in Trondheim. Dagsavisen reported that so far, however, no referrals have been made. The statistics gathered by Dagsavisen reportedly show that circumcisions so far this year have only been recorded at Sørlandlet sykehus in Kristiansand (five in May and June) and at St Olavs in Trondheim, which couldn’t say how many. At Ahus in the Oslo area, where 13 of its 15 urologists have reserved themselves against performing circumcision, hospital adminstrators are still working on how they can be offered. Officials at Ullevål expect to get a program underway this autumn. “A demand that only surgeons and urologists can perform a circumcision, and strong opposition within the public health system, has made it difficult to get programs in place,” Dr Trond Markestad, leader of Norway’s medical ethics council (Rådet for legeetikk) and an opponent of circumcision himself, told Dagsavisen. Markestad, who’s also a professor in pediatrics, said more information is also needed on whether parents of prospective young patients continue to have circumcisions performed abroad or privately at their own expense, to better assess expectations and need. The new law was aimed at preventing non-medical professionals from circumcising babies in Norway, to protect the child’s health. If parents are intent on circumcising their boys, it was thought to be better that they have it done at a state-run hospital in return for paying a portion of the cost. The group Stopp rituell omskjæring av norske barn (Stop ritual circumcision of Norwegian children) claims the low numbers of circumcisions actually performed shows that the law was poorly formulated before it was approved and took effect. Most hospital administrators claim they’re trying to comply with it, though, and are working to get programs in place.